Choose a destination from 5 different places in Europe, South America, and The Caribbean-all for less than £150 a WHOLE WEEK!!!. Don’t know where to stay? We’ll help you decide the best location for your next trip. Click below to see some of our favorite places to stay. Why invest in a WSVC membership? Finally retiring? See all of the places that work put on hold before. Now is the time to take those trips you’ve been talking about for years and NOT break your retirement fund doing it. Experiences come with all of our destinations. Invest in all of those, because isn’t that what life is about? You can’t take that convertible with you anyway. A tradition to pass down through the generations. Those antique curtains are great, but they’ll be there when you get back. Leave your kids the family curtains and the experiences, memories, feelings and vacations too. Did we mention we also offer the best travel deals by far? Check out this comparison chart of our top competitors. A We Serve Vacation Membership provides you with a lot of travel options. Here are some details on a few things that you’ll benefit from with a membership. Make sure you are getting the best deal with a membership, learn about our member marketplace and other member features. If you don’t see your question, please contact us, and we will provide you an answer. 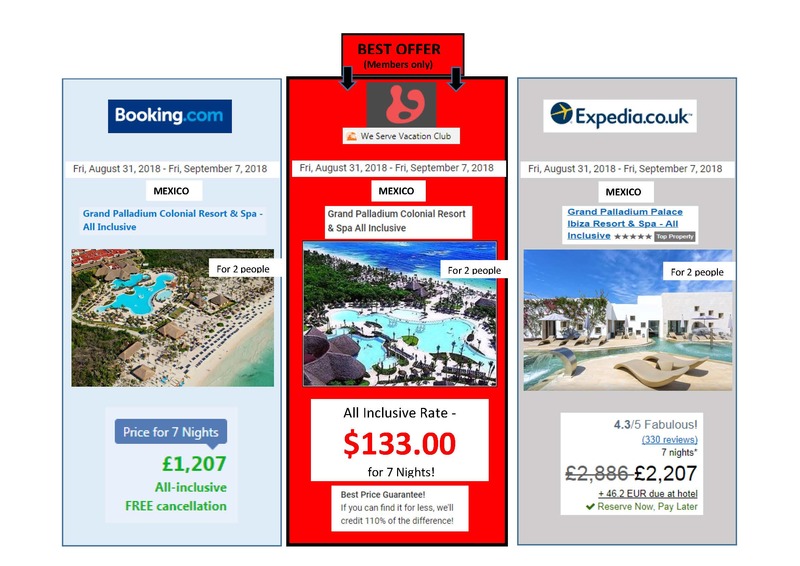 How does wsvc compare to other travel discount websites? With We Serve Vacation Club, you’re a part of the WSVC family, and that’s how we treat you. We offer Member perks that websites like Travelocity, Expedia, Orbitz and Kayak don’t. When you invest in our travel experiences, you’re also investing in possible tennis club memberships, the California Wine Club, art discounts and restaurant/shopping savings. Not to mention the discounts that you’ll receive on gift cards, which come in handy around the holidays. WSVC has the competition beat on pricing too. See our comparison chart here or scroll up. 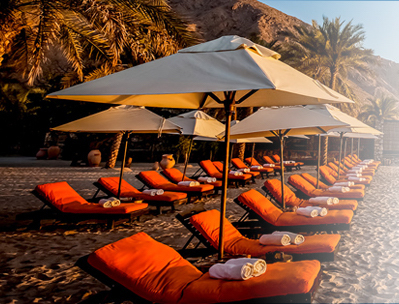 Marketplace provides a private platform for members to rent and bid on vacation weeks for negotiable rates. If you are a timeshare owner, have members bid on your week and allow the best offer to win. Will my offer automatically be accepted? Once you submit your offer, the listing member will have the option to Accept, Counter or Reject your offer. You will receive an email regarding all actions related to your bid. You can view bid activity under the My Account Section. What if my bid is countered or rejected? The listing member can counter your offer with a different rate. You can accept or reject this counter offer. If your bid has been rejected, you can submit a new bid or bid on a new week. Can I Cancel My Reservation After I Complete The Bidding Process? You may not change or cancel your reservation after your bid is accepted. Looking for a week at the lowest possible price? Our Bonus Weeks are priced well below retail and include half-priced weeks on short notice. Prices start at $99 for an entire week at all-inclusive resorts, condos and villas. Once my vacation is booked, are there discounts for activities while I'm there? There are tons of activities that you can find discounted with your WSVC membership. Once you’ve booked your vacation, checkout the many activities we offer. Whether you’re interested in a diving adventure in the Bahamas or a winery tour in Napa Valley, there is a discounted adventure for you. You can checkout a few options now by going to our “Things to Do” tab. What is the "travel request" feature? Your WSVC membership includes a special Travel Request” feature that allows you access to customized iteneraries, multi-room bookings and large group travel. A member of our concierge team will handle all of you requests to ensire your travel needs are met. How does our price guarantee work? We Serve Vacation Club promises our members the lowest price. If you find a lower price on any of our competitors’ websites let us know, and we will match it! Submit a claim through our contact page, and one of our representatives will contact you promptly. Find exclusive vacation week inventory. Make an offer of what you want to pay. Once offer is accepted, sit back and relax. Invest in your family. Invest in your memories. Sign up for our email list, and we’ll send you member promotions and discounts for your future travels.